As the Chicago Teachers Union strike drags closer to the one-week mark, it&apos;s clear the CPS and CTU have more differences than just at the negotiating table. Take, for instance, how each organization has utilized social media throughout this process. 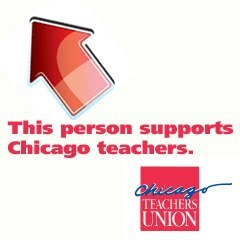 For the CTU Facebook and Twitter are wielded like a battleax, for CPS its more like a billboard. The union picked up 16,000 new Facebook fans since the strike began. 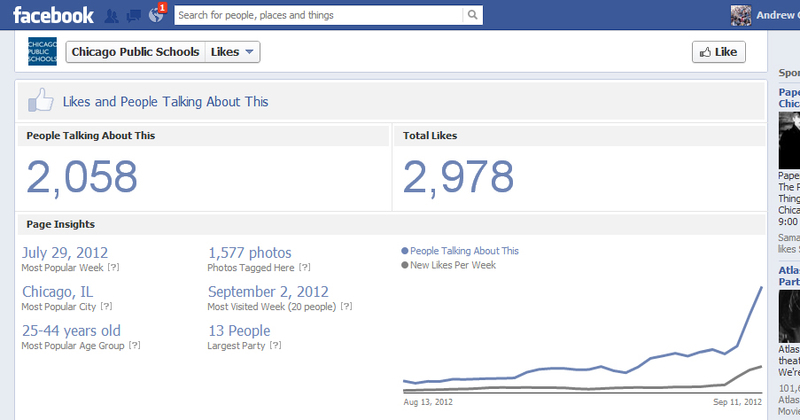 As an administrator of a Facebook page, I can attest that is a very enviable traffic graph. For the CTU, this activity didn&apos;t come by accident. Shibata says he&apos;s been training union members for months. "We have focused a lot of attention on social media through this strike. We knew that we could not rely completely on traditional media to tell the story, so we empowered our members to become citizen journalists on the ground," Shibata said in an email interview. He praises union leadership for being forward looking in changing his position from Publications Editor to New Media Specialist. He considers himself an "online organizer." 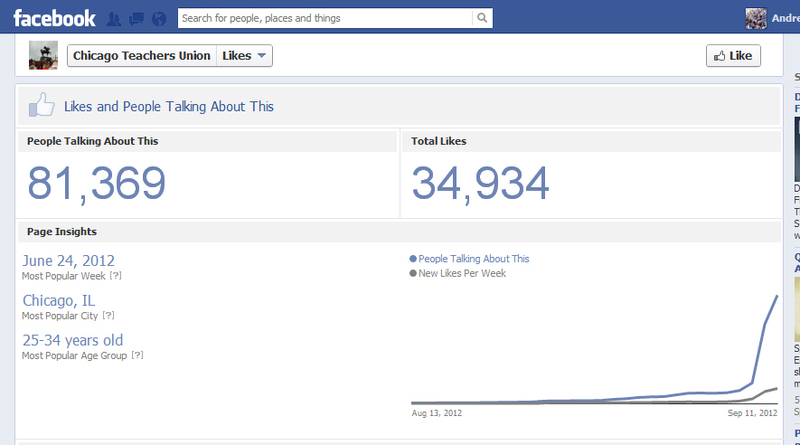 The union claims close to 30,000 members and has more than that total backing their Facebook page. Those fans have been successful at their online activism since more than 81,000 Facebook users have been talking about CTU. What have those activists been doing on social media? For one, they&apos;ve been making photos like this go viral. Shibata says they&apos;ve also been sharing a video the union made in August called "Chicago Teachers Union Vs. Astroturf Billionaires." The union made this video specifically for members to share on social media and it has clearly influenced the agenda of many of the marches and signs. Their Facebook fans have also been sharing photos and videos of those marches (including some adaptations of "Call Me Maybe"). The CTU page is full of photos of marches and links to blog posts on the CTUNet website. On the first day of the strike Shibata says the union was responsible for the two top trending topics on Twitter, "#1 was #CTUStrike and #2 was #FairContractNow. We promoted both hashtags through email blasts, listservs, and word-of-mouth. The #FairContractNow hashtag was hatched by Michael Cherone, one of our delegate leaders." "Social media empowered members to tell their own stories through video and photos. It allowed people to connect throughout the city, nation, and world," says Shibata. For the Chicago Public Schools social media efforts it&apos;s a different story. Social Media Director Alex Soble says their goal is to "keep parents and students informed about the options CPS can provide and explain what CPS is doing to fight for a better education for their children." Soble says the leadership of CPS is focused on social media as well. "I work closely with our Chief Communications Officer on how to approach social media during the strike. Higher-ups at CPS definitely appreciate the importance of social media. They understand that many of our parents and students get information from Facebook and Twitter via their mobile phones, and they support what we’re doing to engage them." That reflects what CPS has been doing on their Facebook page- mostly sharing information about childcare options as well as a few op-ed articles that support the CPS position in the contract negotiations. The posts are much more spread out and based on much less original content. Though they&apos;ve seen a bump from the strike news, their audience is smaller than CTU&apos;s by a factor of ten. This could speak to the bulletin board style their posts take, or the fact they don&apos;t have 30,000 members to enlist in their cause. The scope of the CPS social media efforts are to inform and it appears they are successful at that. CTU, however, has a bigger imagination and their efforts reflect that.